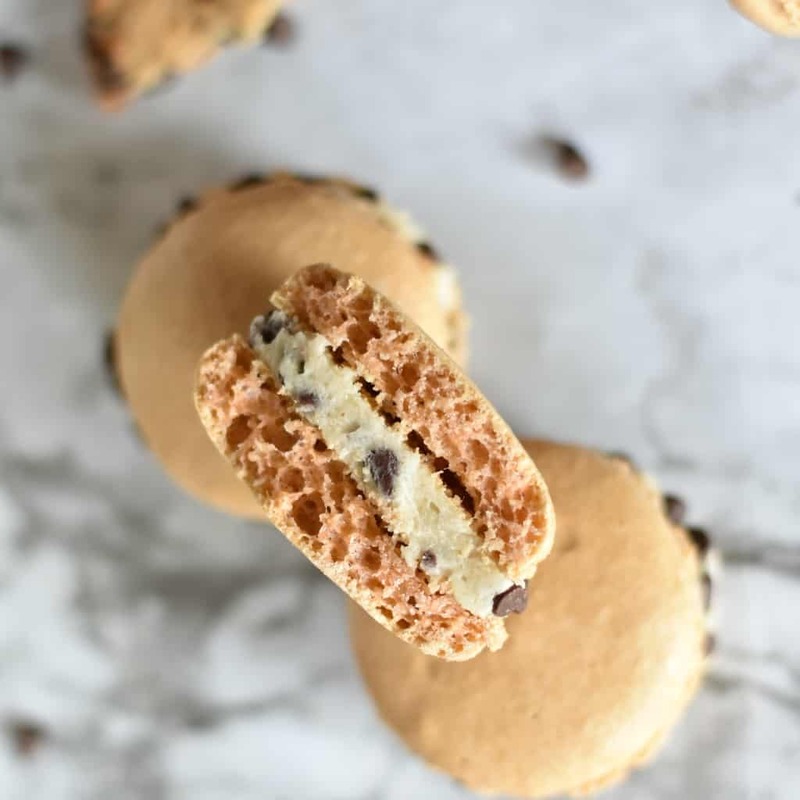 When you want a pick-me-up, there’s nothing like having a bit of cookie dough…and these Cookie Dough Macarons are like the week-long version of that perfect feeling of happy. I’ll be downright honest with you, the winter has me feeling quite down. It’s been raining, dark, cold, and just unfun. 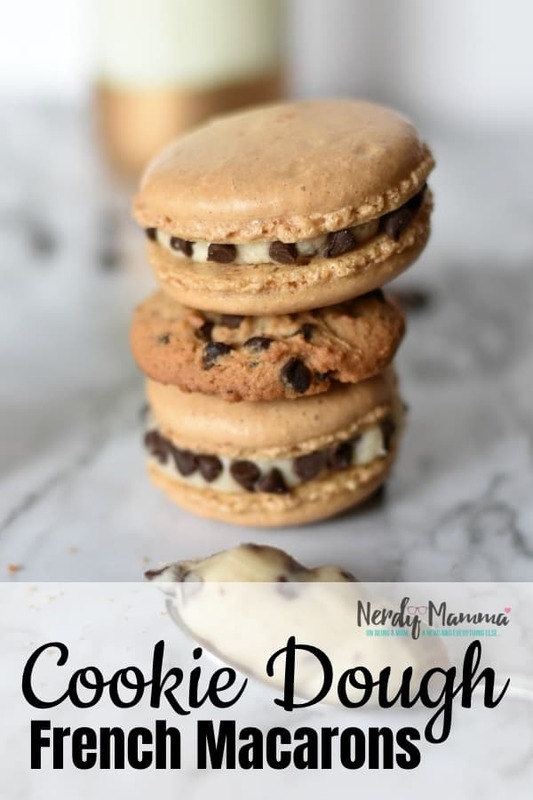 So, to perk me up, I decided that I’d make these yummy Cookie Dough Macarons to eat over the next week until it warms-up again! Now, these easy french macaron cookies are seriously easy. I’m not kidding. 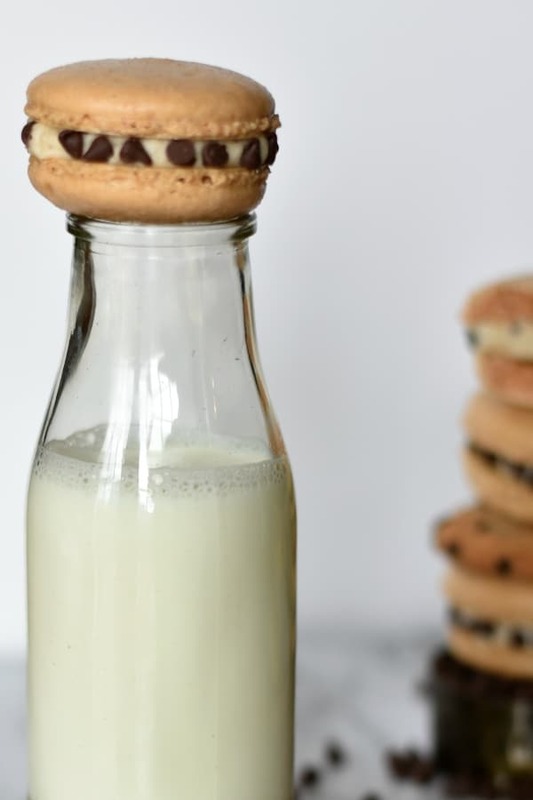 Just check out this video for the Cookie Dough Macarons I made to see just how easy it is to put these cookies on the table. 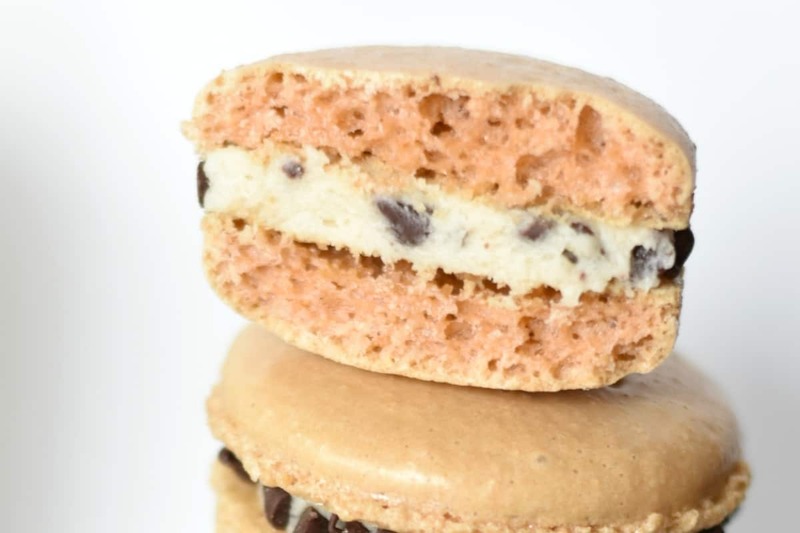 And you don’t have to have any special tools to make these Cookie Dough Macarons, not really. But one thing that’s a total must is the food scale–no just for cookie dough macarons, but for ANY french macaron cookie-making adventure. Yeah, I didn’t have one, either, until I started making macarons–then I found out that I really had to have one in order to get the cookies to work right. So I snagged this really simple, flat digital scale–it’s easy to use and I like it, so there’s that. And then you need a template so you know about how much to put out on your silicone mat–and thus how big your french macaron cookies will be. So, no real tools, just a couple of thing and it really is simple to whip up a big batch of Cookie Dough Macarons. 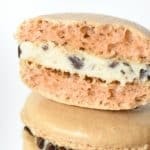 Oh, and don’t forget to look over these 12 Tips for Perfect Macarons–because, you know, preparedness is key before you rush off to make any French Macarons, not just these Cookie Dough Macarons. Now, go ahead and pin this so you know where to find it again when you get your food scale! Cream the butter in the bowl of a stand mixer or using a hand mixer. Add in the powdered sugar slowly with the mixer on a low speed and mix until completely combined. Add in flour and brown sugar and mix until combined. Add vanilla and cream and mix until light and fluffy about 2-3 minutes. Finally add in the mini chocolate chips. Place the frosting in a piping bag with no tip. Place a generous amount on half of the macaron shells. Sandwich them with the remaining macaron shells. Add mini chocolate chips to the outside of the buttercream if you wish.